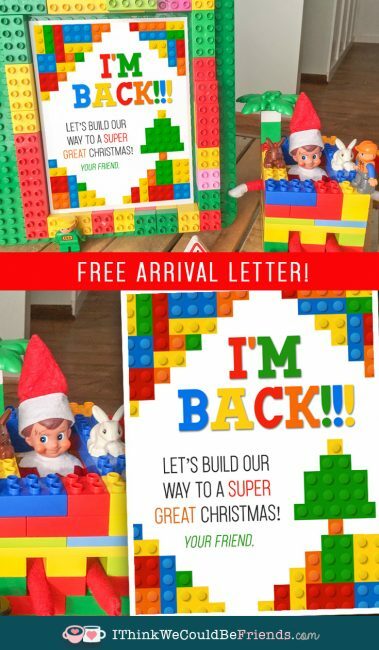 Elf on the Shelf Free Printable Lego Arrival Letter! Welcome back Elf! We’re glad you’re here and what a fun way to arrive, with legos and a free printable letter! Our kids (especially our lego loving boys) thought this arrival was awesome. And for me? 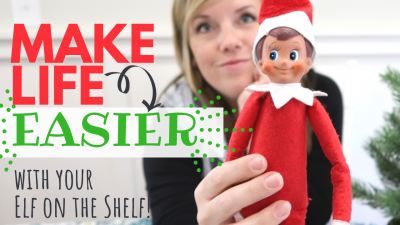 This Elf on the Shelf arrival was quick and easy! Gotta love that!! I just printed off the free lego letter, built some legos around him and boom! DONE! We’ve done more elaborate arrivals in the past (streamers and balloons everywhere! 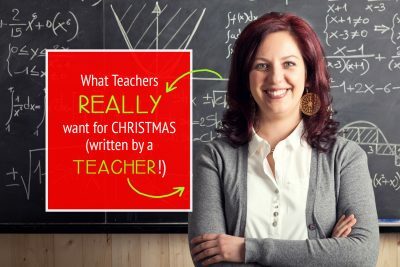 ), but I just don’t have the energy for that this year! To print this free letter, just click HERE or on the image below. A high resolution version of the lego letter should open in a new window. From there you can print or save. 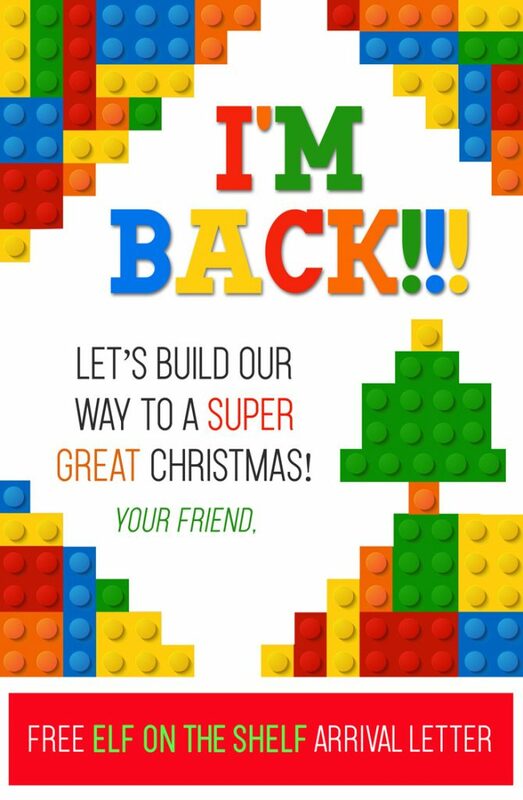 Please let us know if you have any questions or problems printing this Lego themed arrival letter! 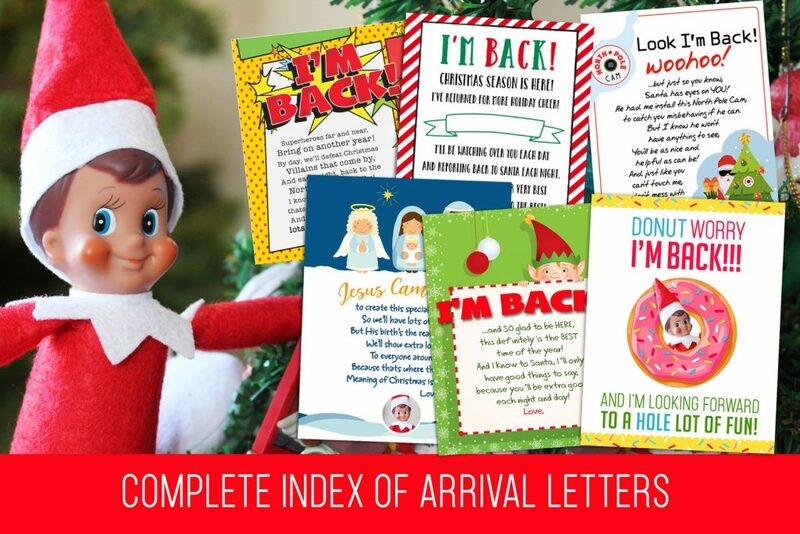 And did you know, we have a complete list of over 40 more Elf on the Shelf Arrival Letters? You can see them all by using the link below! The best part is that you can make it in about 5 minutes (truly!) with about $2 in materials from the dollar store! 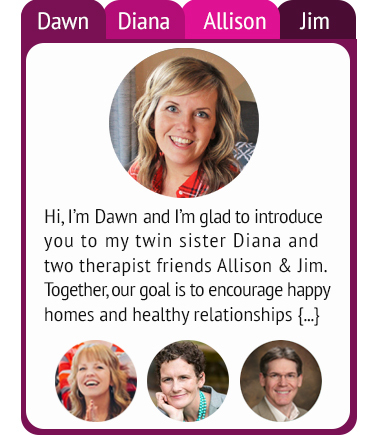 And of course it includes a free printable! Merry Christmas to you and your Elf on the Shelf! 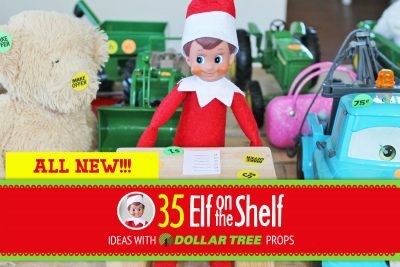 I’m not necessarily counting down the days until our Elf on the Shelf comes back, but at least with these arrival ideas, I have the first day covered!! 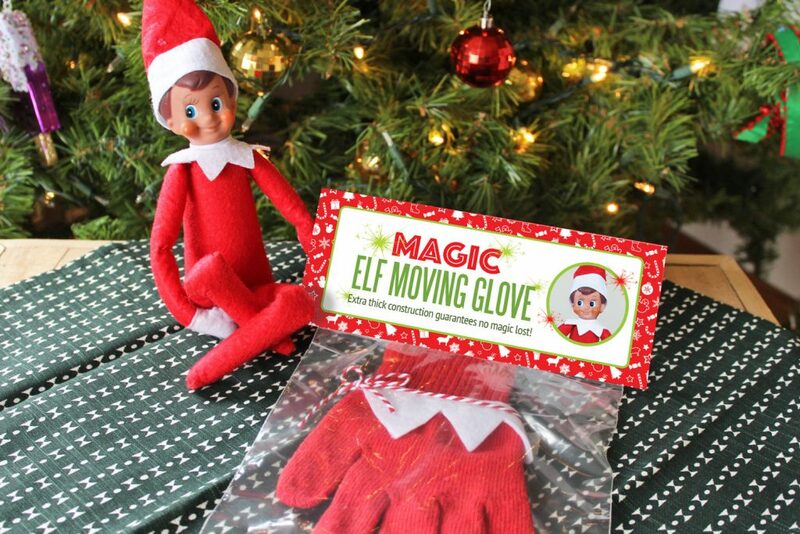 We hope you have a really great Christmas with your Elf on the Shelf! Our kids are SO excited for him to arrive! It seems that it really feels like Christmas at our house once he is here.